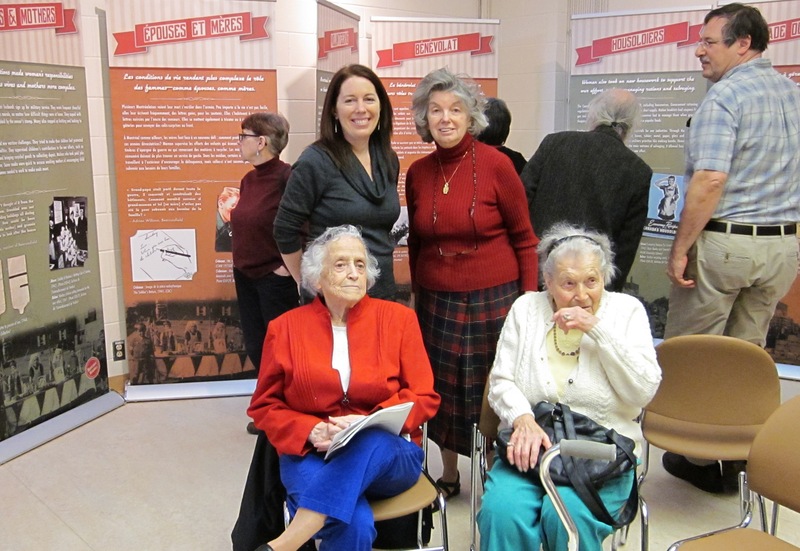 Some 50 people attended the opening reception of QAHN's new Housewife Heroines traveling exhibition, held at the Beaconsfield Public Library on February 4, 2016. The event, organized by QAHN, with the assistance of the Beaurepaire-Beaconsfield Historical Society is part of the project "Housewife Heroines: Anglophone Women at Home in Montreal during World War II," which includes a series of workshops, a traveling exhibition and an event on International Women's Day. The project is being funded through the Department of Canadian Heritage's World War Community Commemorations Fund.